It happened to him again not long afterwards. Then one morning I went into the shed to pour a new sack of corn into the barrel. Something ran out of the barrel just like Jack said, like a streak of lightning. I saw its tail as it disappeared. It was a squirrel sure enough. Then, just as I was about to dump 50 pounds of corn down into the barrel I saw something dark down in there. I pulled the barrel to the door where the light was coming in. There they were, three little bitty squirrels. Jack put on some gloves and got them out, one by one. We put them in a bird cage. They climbed the sides of the cage and then I saw their little gliders, the little folds of skin between their front and back legs. 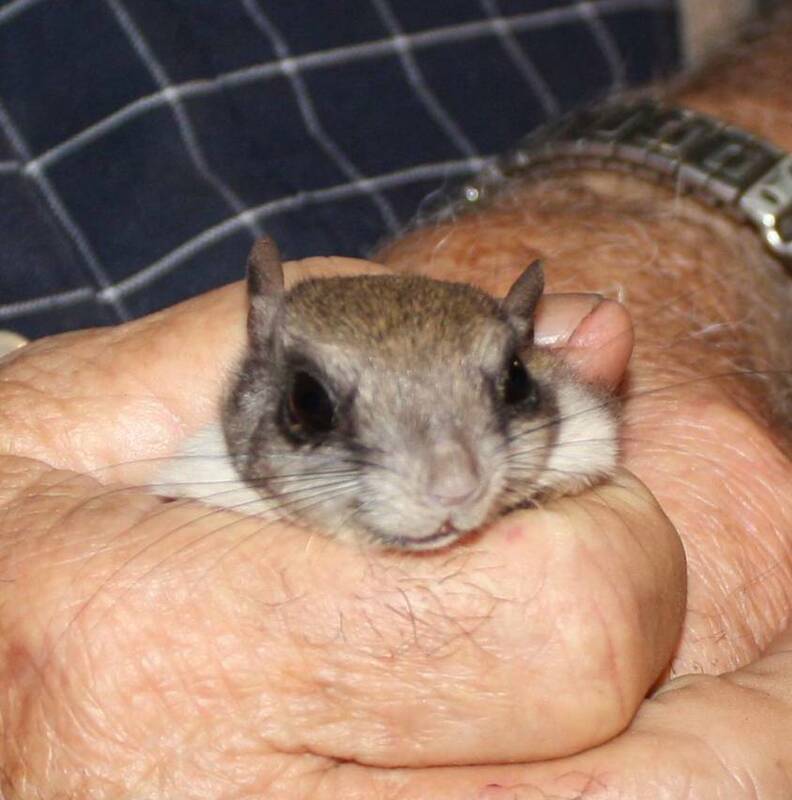 They were flying squirrels, just barely big enough to be weaned. It took a while to convince Jack they were not gray squirrels, but he sees the difference now. We put them on the stove next to Jack’s pullet and gave them cracked corn to eat. After all, that is where we found them, in the corn barrel. They didn’t want cracked corn to eat, but it made a nice bed to curl up in. They curled up in little balls and slept. I gave them squash; I gave them bananas, we shelled peanuts for them, and nothing pleased them. Finally I went down to the shed and got some of Jack’s bird seeds. They dove in. Whew! I was afraid they would starve to death. 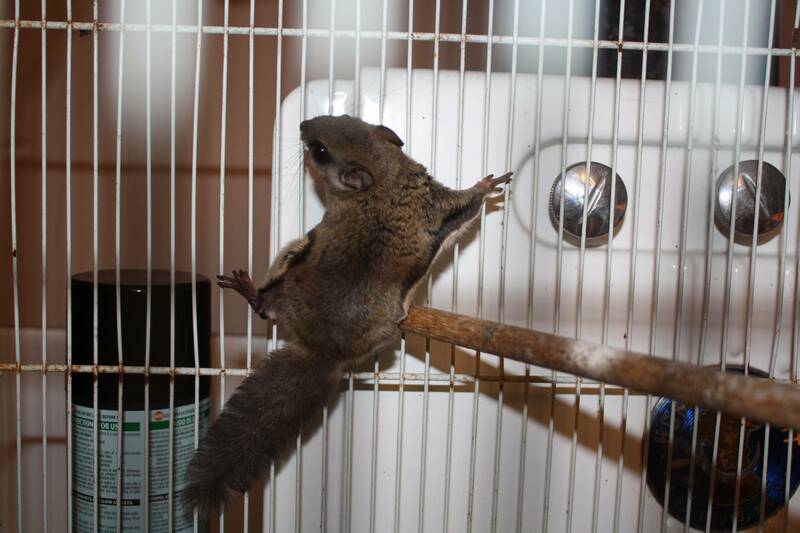 I had a flying squirrel that frequented my back porch at night when I lived at Quebec. I suppose it was hunting fresh vegetables that I kept out there. When I turned the light on, it was blinded and did not run away, so I was able to get a good look at it. That’s how I recognized these little creatures. Jack has been getting one at a time out and rubbing its head. If one ever gets loose, I will never be able to catch it. They are incredibly fast. And very sweet. However I don’t want to take one up. They will bite you!